Lemon really is an all-purpose fruit. Add it to some vinegar and you've got a natural cleaning agent. Squeeze a little of its juice into a dish and you've some how completely changed the flavor profile (usually for the better). 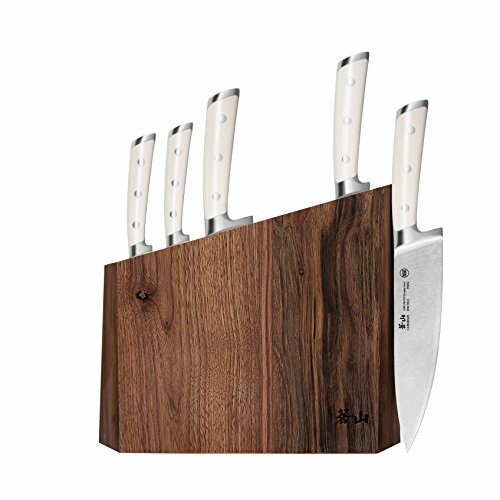 Add a few slices to a drink and, well, you've got the base for almost countless beloved cocktails. From cakes to soups and even a great margarita, lemons are one of the best things to have in your pantry. And when you're armed with these 21 lemon-filled recipes, you're sure to add a bit of spring to your step. What could possibly be better than individual cups of joy? Nothing. 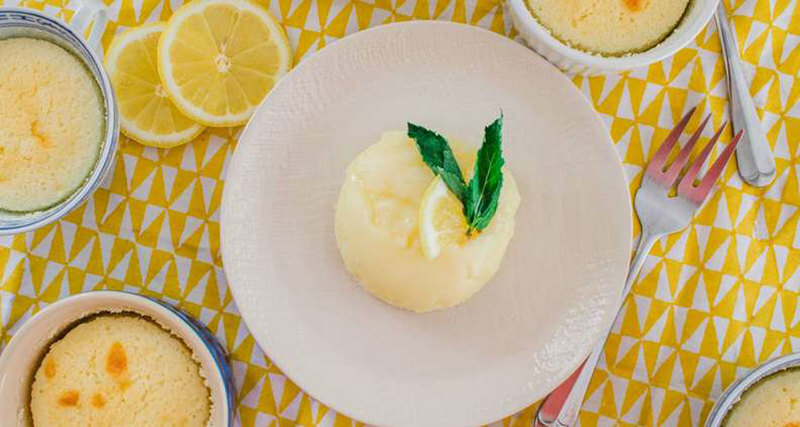 These lemon cups are baked in small ramekins and then served warm to be enjoyed by whoever is lucky enough to be around. They are light, sweet and finish with just the right tart kick. An hour and fifteen minutes is a heck of a lot of time to dedicate to baking, but the pay off is more than worth it when you end up with this cake. Yes there are three different components — the actual cake, the lemon curd filling and the seven minute frosting. But when you're talking about a dessert that will make you the talk of the town, is this really too much? 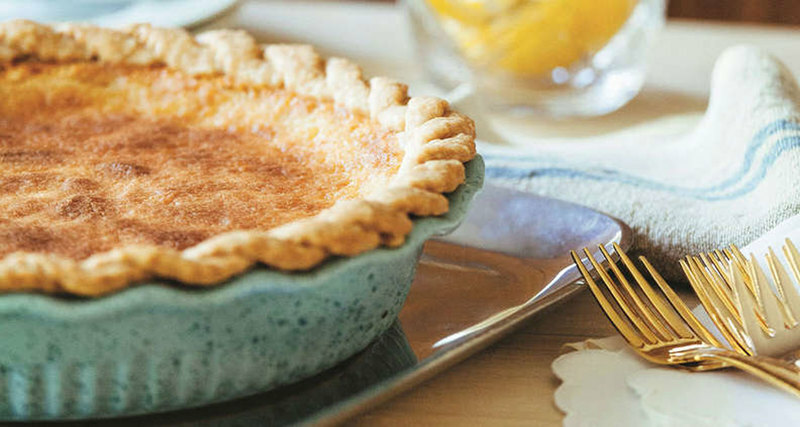 Georgia native and the founder of Southern Baked Pie Company, chef Amanda Wilbanks has perfected pies and desserts that exude Southern charm. 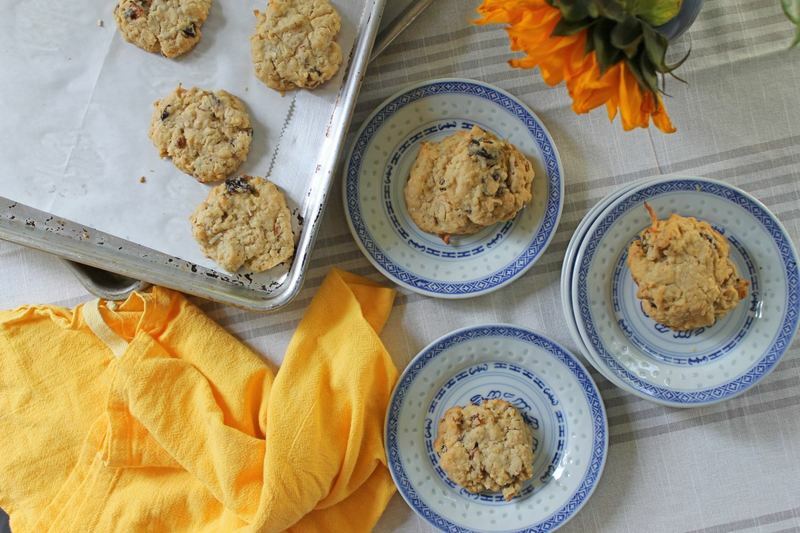 In her cookbook, 'Southern Baked,' Wilbanks shares family recipes that have been passed down from generation to generation. One of those recipes is her lemon chess pie. The citrus twist on the classic Southern pie adds a splash of flavor and tartness to the dessert. With all the flavor of lemon meringue, but with less work, this light and airy pie doesn't so much melt in your mouth as disappear like a cloud. Just keep in mind this one word to the wise: Because of the risk of salmonella in raw eggs, we recommend using pasteurized eggs in this recipe. Pasteurized egg whites take longer to whip to a stiff consistency — about 10 to 15 minutes with electric beaters — but they will eventually come around. 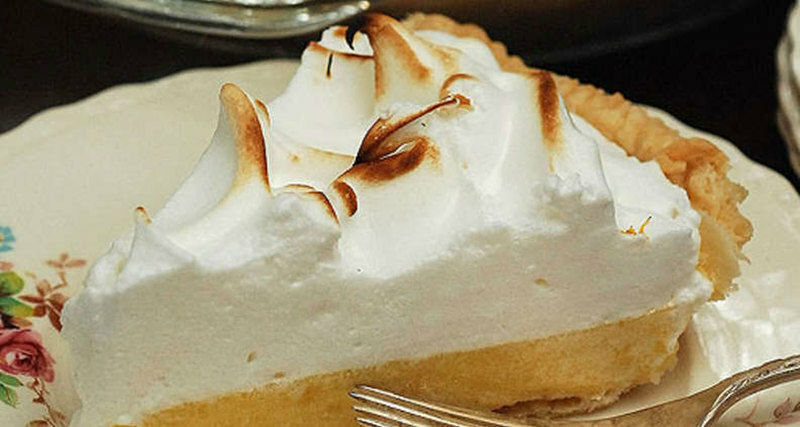 There's nothing like this classic recipe for Southern lemon meringue pie. Tested and perfected by chef and cookbook author Virginia Willis, this pie is a must-add to your dessert table. This classic, pretty dessert tastes is one you pull out when you want to show off. 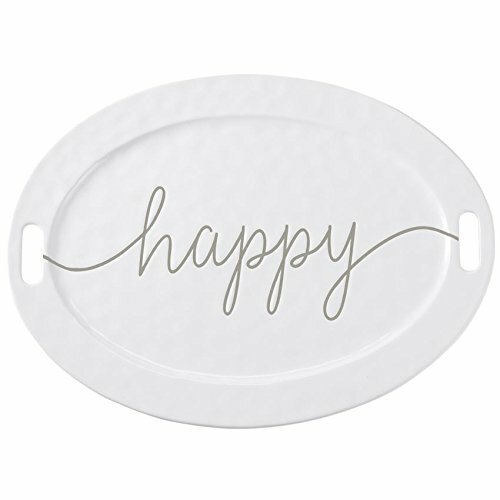 The directions sound a bit complicated, but they're really not — you're just folding whipped egg whites and cream into a cooked pudding and then layering it in a mold with cookie crumbs. For the prettiest presentation, do not let the dessert sit at room temperature for more than an hour or so before serving. No one wants to end up with a sloppy melted mess. It is sweetened condensed milk that gives this dessert its rich, creamy texture. Ted Lescher, now-closed River Room's executive chef, likes to sprinkle a small amount of granulated sugar on top of each slice and uses a kitchen blowtorch to caramelize the top. He garnishes each slice with raspberry puree and fresh berries. Serve this fool-proof, lemon- and herb-marinated grilled chicken with coleslaw, roasted sweet potatoes, fresh cranberry sauce and some braised kale or collards. 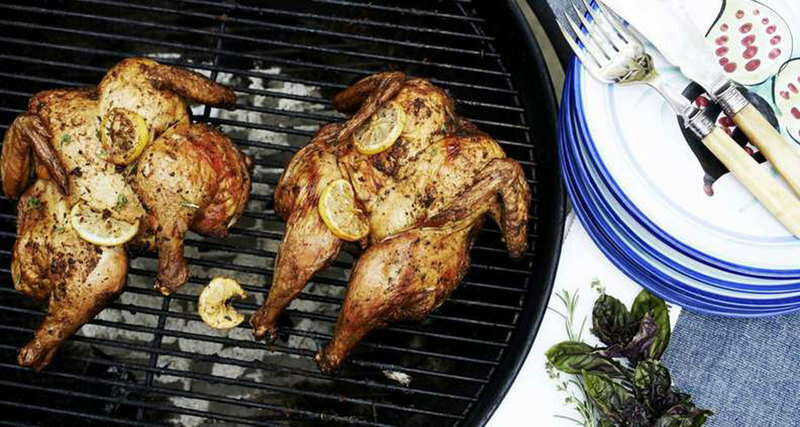 You can easily double this recipe and cook two chickens at once. Simply place each chicken in its own bag and divide the marinade evenly between the bags. For this recipe, make sure to grab the larger asparagus spears that can hold up to the searing heat of the cast iron skillet. After the asparagus is nice and charred, the addition of the lemon heavy tarragon mayo sauce is the perfect addition to temper the smoky flavor from the cast iron. Growing up, putting lemons in our chicken soup was essential. My mother swore that lemons were a healthy addition to our meal (of course, she was correct). 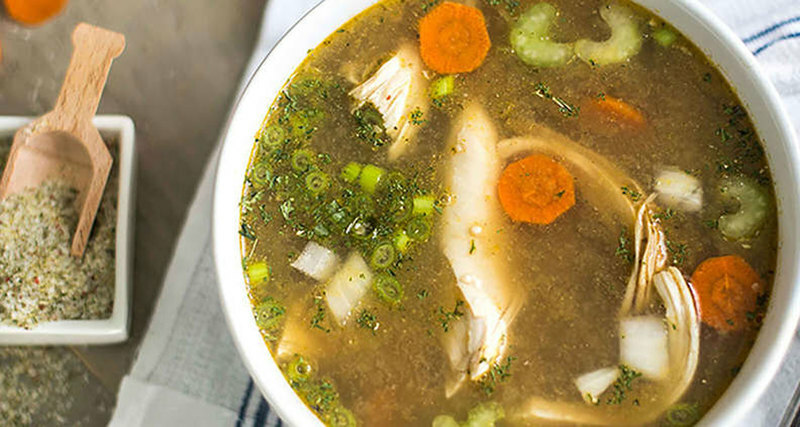 Here this made-from-scratch chicken soup recipe gets a burst of flavor from lemon juice and sweet earthiness from parsnips. This dish is simple and delicious! Fresh herbs, lemon, ground pepper, and extra virgin oils gives great flavor to the fish and your taste buds. This recipe, courtesy of Virginia Willis, is easy to put together and even easier to chow down on. The combination of crab and lemon is very simple and clean — a perfectly light appetizer. 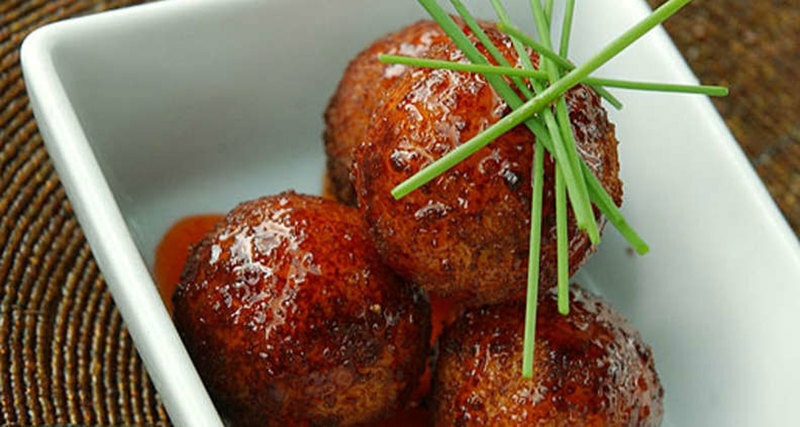 And the red chile jelly is an ideal accompaniment to the fritters — sweet and spicy, with just a hint of pepper heat. Like hummus, only lighter, this dip can be turned into a sandwich when spread on bread and topped with lettuce and a tomato slice. Serve this dip with red bell pepper strips, celery ribs and pita wedges. With minimal ingredients and just a little bit of prep time, this is the perfect recipe for easy weeknight cooking. 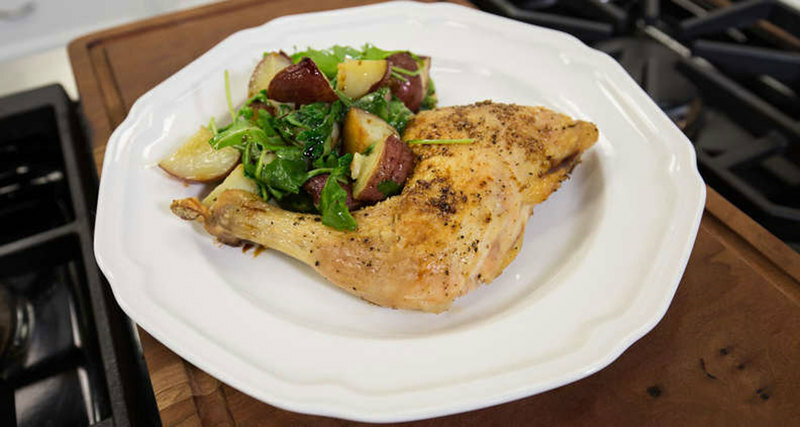 While the chicken could benefit from a more lengthy marinade, one hour is plenty of time to impart the flavors of lemon, rosemary and garlic into the chicken. If you decide to marinate the chicken longer than one hour, transfer it to the refrigerator. Should you ever find yourself at a loss for what to make for dinner, don't panic. The odds are that you have a spare lemon, package of spaghetti noodles and garlic cloves hanging around, which means you have a delicious meal ahead of you. What happens when you take whiskey, lemon juice and honey and shake it up? A bright but balanced (and boozy) cocktail. 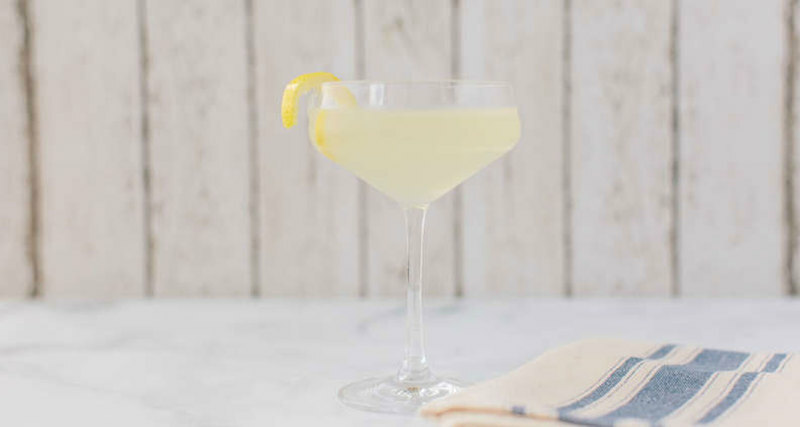 The Bee's Knees is the classic pre-prohibition cocktail you'll want to sip on all day. 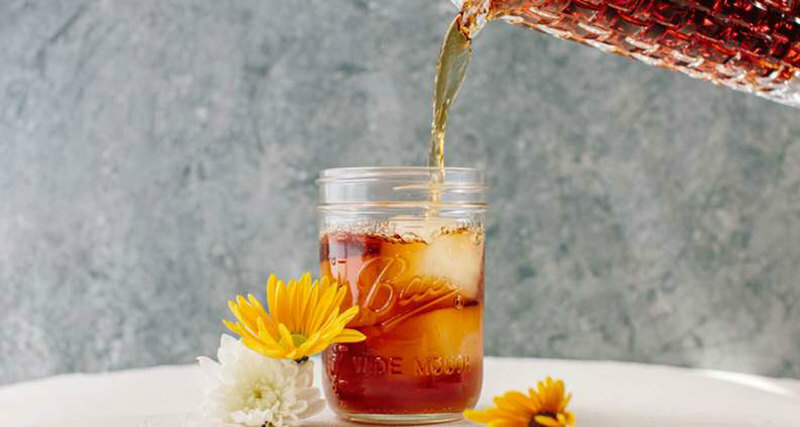 This simple highball cocktail recipe is light, easy and refreshing. Don't let that fool you though. With over two ounces of gin, this is one drink you'll want to make sure you don't drink too quickly. 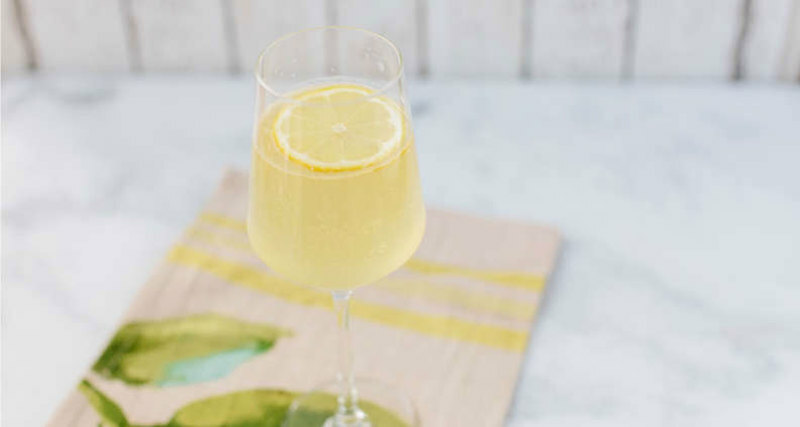 A great French 75 should be two things: bubbly and full of juicy lemon goodness. This recipe has all those elements and more. Mix one up and sip it during brunch or on your front porch during warm weather. Lemon has an affinity for just about every herb, and thyme is no exception — so why not combine both into a slightly more grown-up lemonade? 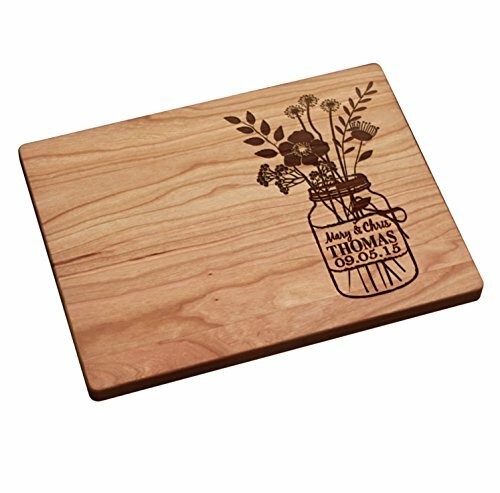 If you want a more prominent thyme flavor, strip the thyme from the stems. For a more subtle result, leave the thyme on the stem and steep them in the simple syrup like you would a tea. And please (please!) only use freshly squeezed lemon juice for this recipe. You’ll be so glad you did once you taste the results. 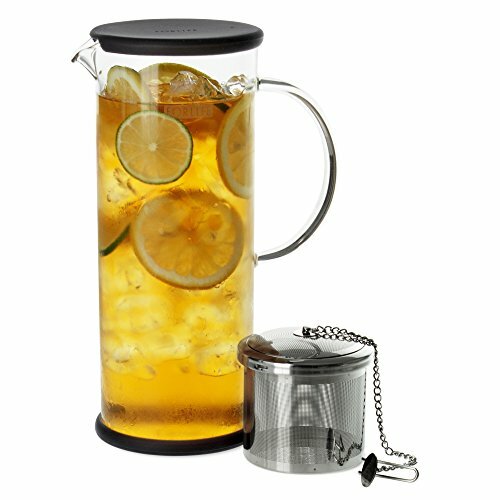 This drink captures all the flavors of an Arnold Palmer — iced tea and lemonade — but the frozen lemonade ice cubes will keep the drink cold without diluting it with water. In fact, as the ice melts, the drink more closely resembles the classic drink. You can always make this with store-bought lemonade and iced tea, but it’s impossible to beat the flavor of homemade lemonade.